Summer doesn't call for only Levi's cut off shorts and cropped blouses, they're also the perfect time to play with peasant blouses and trousers. 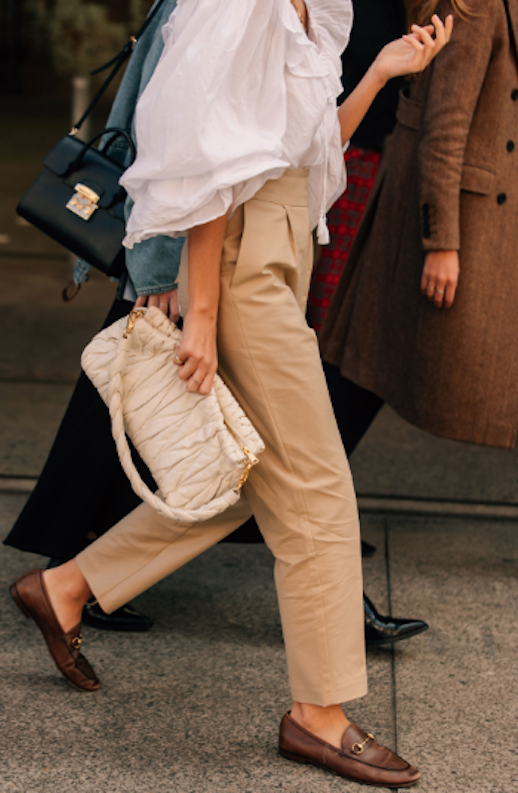 In a shot captured by Vogue during Australia Fashion Week, we fell in love with a street style star clad in white and casual-cool beige trousers. She added a trendy Miu Miu bag and camel-colored Gucci loafers.